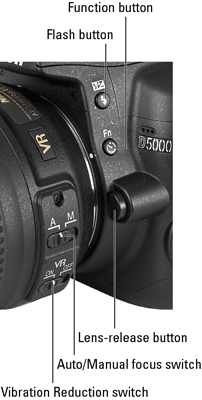 Taking great digital photos with your Nikon D5000 is a snap once you know the external controls and how to use the automatic and advanced exposure modes of your D5000 digital camera. 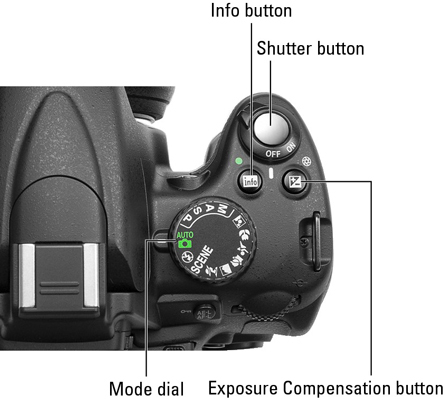 Here’s a handy guide to the dials, buttons, and other external controls on your Nikon D5000. (The lens shown on this digital camera is the Nikkor 18–55mm AF-S VR (Vibration Reduction) model sold with the D5000 kit; other lenses may differ. Camera controls marked with an asterisk have multiple functions. Side of camera, including lens controls. 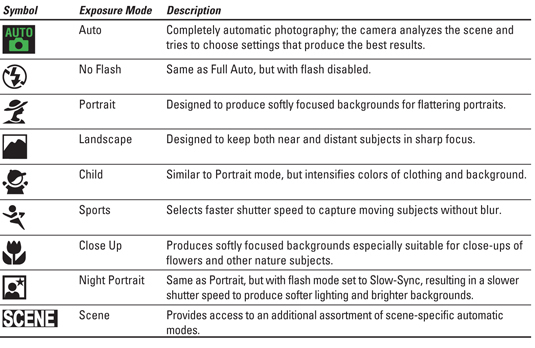 In the four advanced exposure modes, shown here, of your Nikon D90 digital camera, you can adjust aperture (f-stop) to manipulate depth of field (the zone of sharp focus) and adjust shutter speed to decide whether moving objects appear sharply focused or blurry. You also get access to other picture options not available in Auto or Digital Vari-Program scene modes.